What is TowerSMARTS.com? 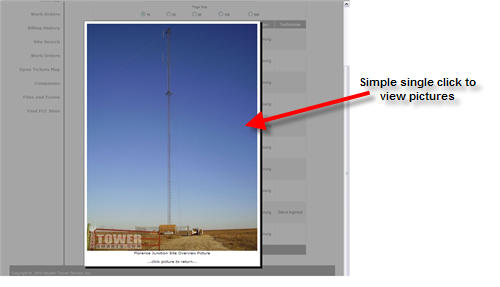 TowerSMARTS stands for Tower Site Maintenance And Response Tracking System. 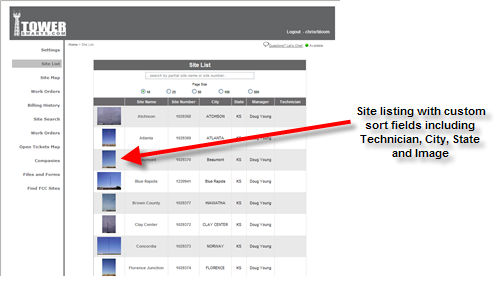 This innovative new tool helps site managers instantly and efficiently view their sites, open work orders and view the history on a particular site. 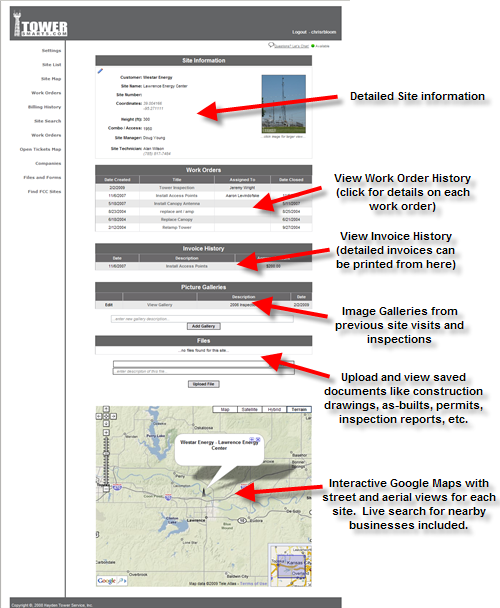 Detailed site information for every site allows you to save and retain historical data including drawings, inspections, permits and other reports. 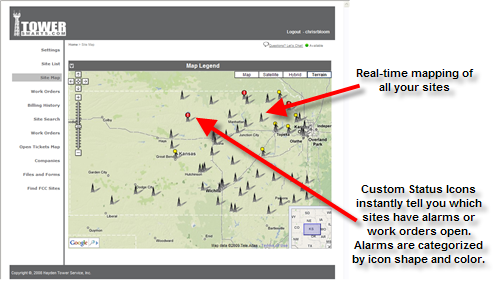 Site managers can also create and open new work orders for immediate dispatch to field crews. 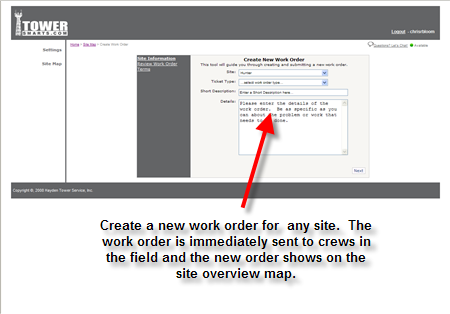 Alternatively, site-technicians can also update and create work orders for field crews. All work orders are logged and kept in the system for historical data. Would you like more information? See the link at the very top of this page that says "Questions? Let's Chat! "...if we're availble for questions, click there. Someone will be able to answer your questions right now. Or, if you're more comfortable talking on the phone, you can call us at (785) 232-1840 between 8:00am and 5:00pm M-F CST. Whichever you choose, we would love to hear from you. We listen to our customers. We're constantly upgrading and renewing our tools to meet specific needs of our customers. If there's something you would like to see, we try to accomodate your request as soon as possible. Copyright, 2010-2019 | Hayden Tower Service, Inc. All Rights Reserved.